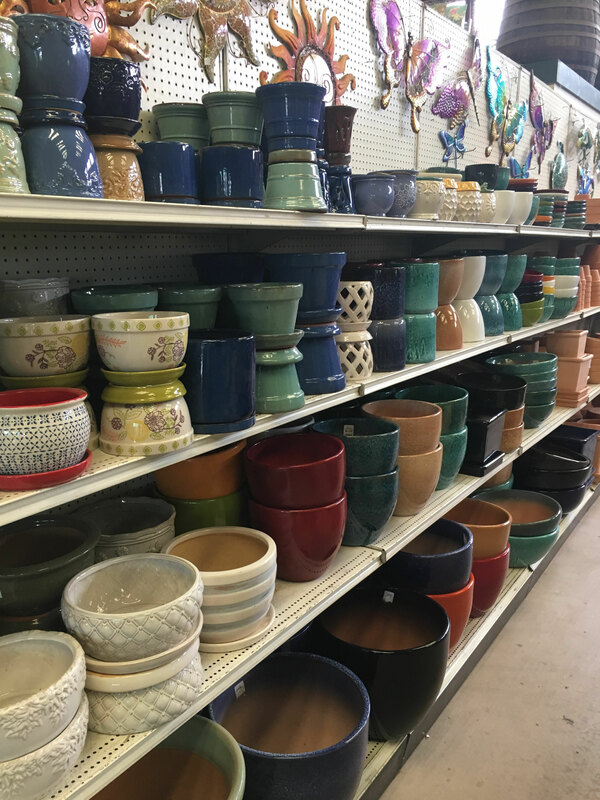 We carry a wide variety of high quality décor and gift items for the gardener. 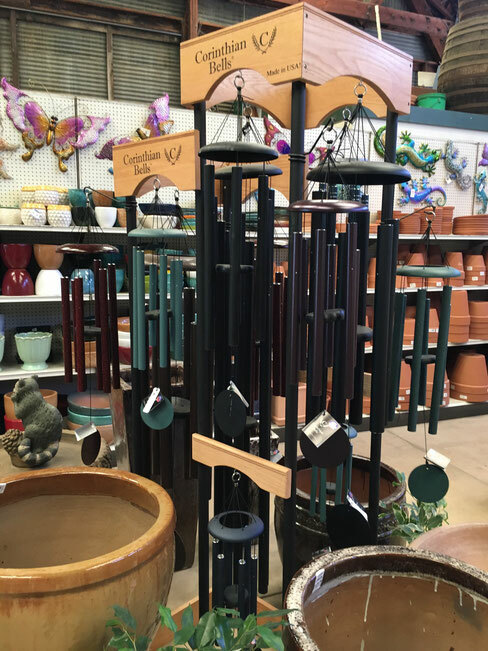 We want to be your one stop shop for fountains, birdbaths, windchimes, ceramic or terra cotta pots, wall hangings and plant stakes. Our ceramic and terra cotta pots on display. 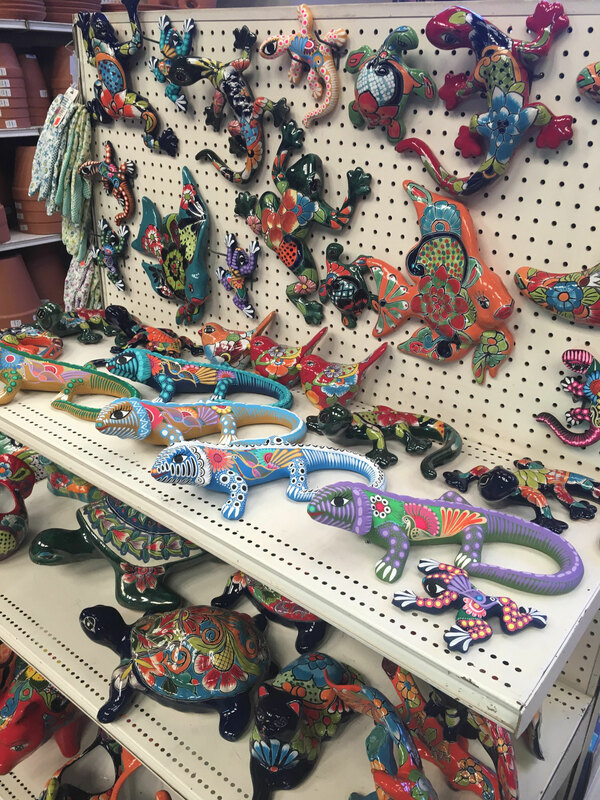 We have some beautiful garden art from Talavera, which is handpainted in Mexico. We also carry Regal Art & Gift garden art. Our Talavera shelves are full! Probably not for long. Regal Art & Gift solar stakes, along with assorted other plant stakes. Regal Art & Gift painted glass stakes and signs. Regal Art & Gift wall hangings. Geckos, butterflies, peacocks, and more! 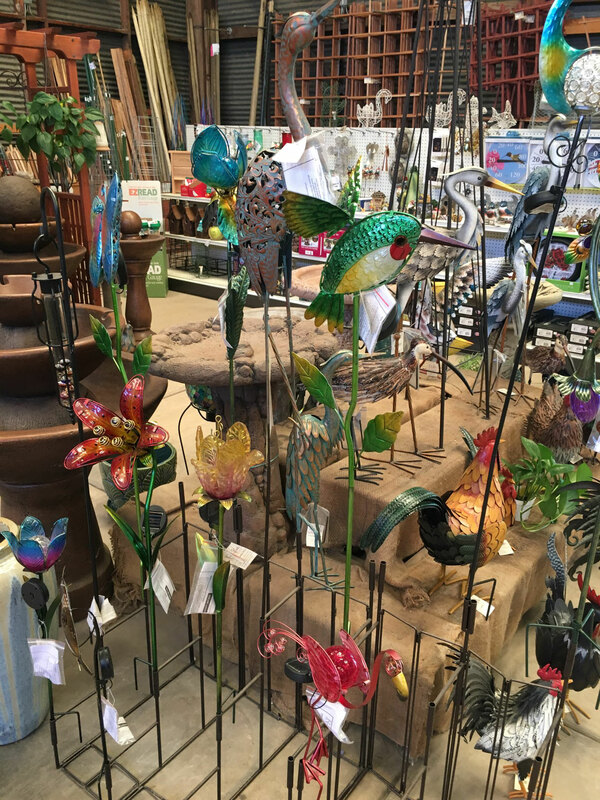 We carry fountains, birdbaths, and statuary from Al's Garden Art, which is now known as Fiore Stone. Some fountains and birdbaths from Al's Garden Art/ Fiore Stone.